Okay, I take it back: I really DO know: surrender and humiliation is bad; reveling in and celebrating surrender and humiliation is far, far worse and far, far more despicable. The more of a traitor you are to your country, the happier Obama and Hillary and their Democrat Party are. Well, thank you very much for that. I had no idea Obama had promoted Bowe Bergdahl to Lieutenant. I’m actually surprised that Obama didn’t release a hundred terrorist commanders from Gitmo just to show his gratitude. By releasing media that makes the sailors identifiable, Pregent added, Iran again violated the Geneva Convention, the international series of treaties setting a standard for treatment of civilians, prisoners of war and soldiers who are unable to fight. Thank you for violating the Geneva Convention and making us look like the disgraces we are in the age of Obama, Iran. We thank you for your generosity and kindness. What the Islamic world saw is America’s warriors on their knees in humiliation, our female soldier submitting to Islam by wearing a hijab, and the United States Navy clearly surrendering. As for Obama’s new Secretary of State roach that he replaced his last roach with, well, why didn’t you just scoop yourself out one of the Ayatollah’s turds from his toilet and eat it to show how much of their crap you’ll willing to accept??? I mean, hey, Kerry, maybe after that you could give the Ayatollah an enema with your tongue while you’re at it. 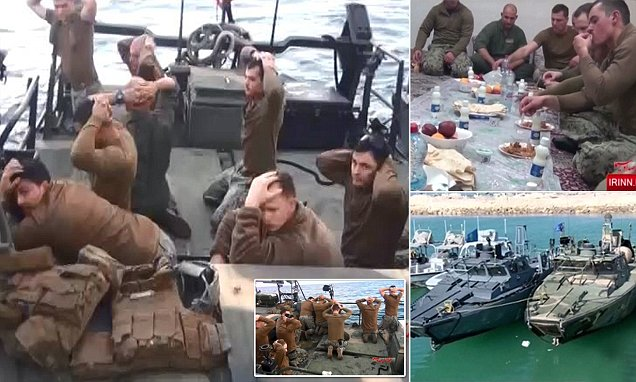 As disgusting as that image is, the picture of our warriors surrendering to Iran is massively MORE disgusting. Would you like to know what REAL “successful diplomacy” and a TRUE “diplomatic relationship with Iran” would look like? 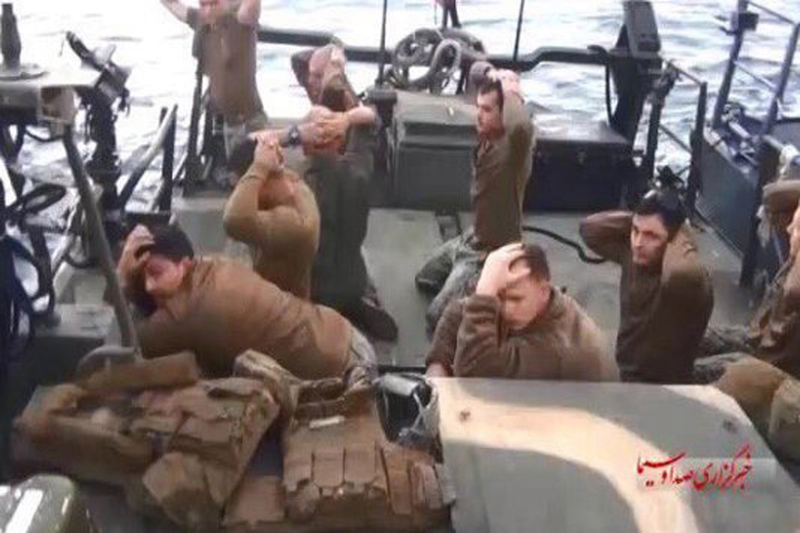 It would look like an Iran TERRIFIED to do something like this to the United States of America or its warriors. Time to hang the American flag upside down again. 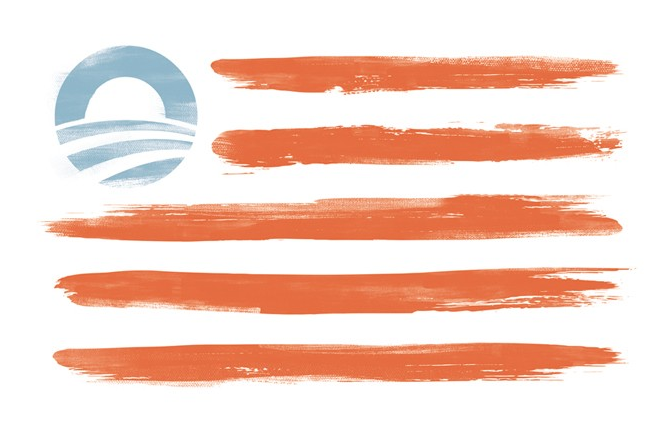 Or you can just fly this Obama States of America flag instead. (see my article on that down-memory-lane outrage here). Either way, it signals the dire distress of the United States of America.